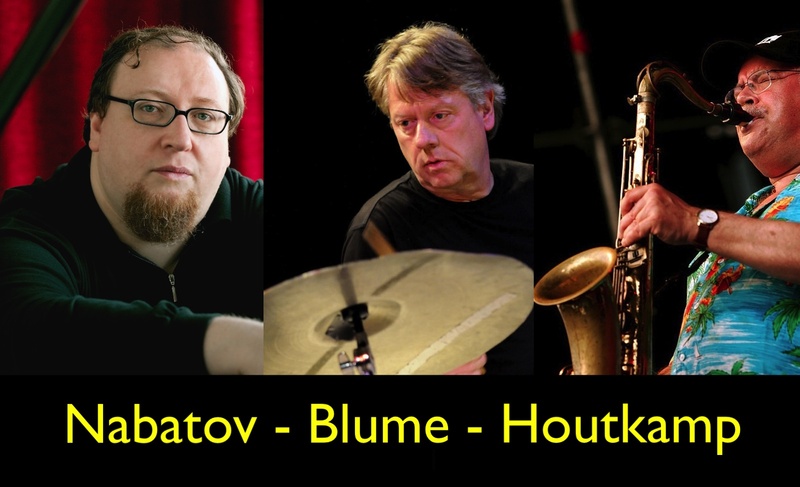 A new international trio: master pianist Simon Nabatov (RU), saxophone virtuoso Luc Houtkamp (NL) and multifaceted drummer Martin Blume (DE) have joined forces. The result is an intense and adventurous musical encounter between three excellent musicians who, together more than 100 years of stage experience in jazz and improvised music, had never played in this combination before. About time too!